Prominent & Leading Manufacturer from Thane, we offer real time online effluent monitoring systems, online water analyzer and online effluent monitoring systems. 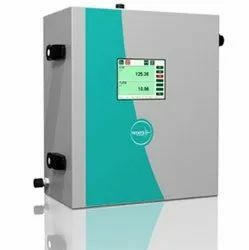 We offer real time online effluent monitoring systems for the measurement of COD BOD TSS PH for the application of ETP & STP with real time data transmission to CPCB and state pollution control board cloud server. The instruments is based on UV absorption technology with autometic cleaning systems. UV Online water Analyser based on high resolution UV Visible spectrograph for meassurment of COD, BOD and TSS. It allows to monitor simultenousaly many parameters for waste water treatment plant or seawage treatment plant STP with exellent stability and low operating Cost. We offer online Effluent monitoring (COD BOD, TSS, PH and Flow ) Monitoring systems for ETP and STP as per CPCB guidlines with real time data transmission to server. This model is based on UV based principle with high resolution spectrpgraph scanning wavelenght from 180nm to 750nm. An additional circuit allows the measurement of ammonia and hydrogen sulphide on the gas phase after a stripping step. This unique method allows measurements on extremely turbid or coloured samples like activated sludge as the gas phase is not affected. A fast Fourier transform (FFT) brings an exceptional selectivity and no interference has never been reported after years of operation on many different applications. The patented flow cell allows very high level of suspended solid without clogging. 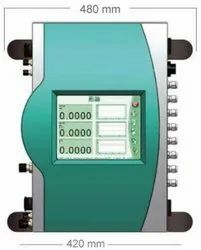 The turbidity is automatically compensated by a dual-wavelength method. The UV source is a xenon flash lamp specified for 10^9 flashes that corresponds to more than 10 years of life time with one measurement every minute. Physico-chemical measurements like pH, ORP, dissolved oxygen, conductivity can be added to the internal measurements by using external probes. The dissolved oxygen probe is based on fluorescence method for a lower maintenance and higher stability.